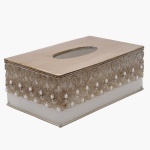 Save AED 65 (52%) – Earn 6 Shukrans What is Shukran? Shukran is the Landmark Group’s award-winning loyalty programme in the Middle East, which allows you to earn Shukrans when you shop any of our brands. 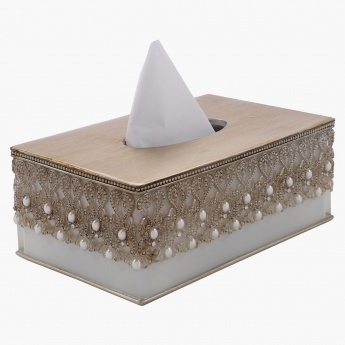 Get set to make a statement as you place this tissue box on your bedside table to have your tissues handy when need. Decorated with pearls and an intricate design in shiny tones, this pick will add a royal touch to your interiors.